At the turn of the 19th century, the property on State Street was owned by a run-down boarding house called the Mico Mansion. Entrepreneur Harvey D Parker tore down the building and in 1855 opened a five-story luxury hotel on the spot called the Parker House. The Parker House was wildly popular due to its location in downtown Boston. The hotel and its restaurant, the Parker Restaurant were typically bustling with lawmakers and politicians throughout the day. The hotel was so successful it expanded and grew until 1884 when Parker passed away. In the 1920s the original building was torn down, and a new, larger hotel was built. Since then the property has changed hands several times and is now owned by Omni Hotels. Today The Parker House is the longest continuously operating hotel in the United States. Over the years, the Parker House has hosted every former United States President since Ulysses S. Grant. In fact, John F. Kennedy proposed to Jacqueline Kennedy in the hotel. He loved the building so much he used it for press conferences as well as the bachelor party. 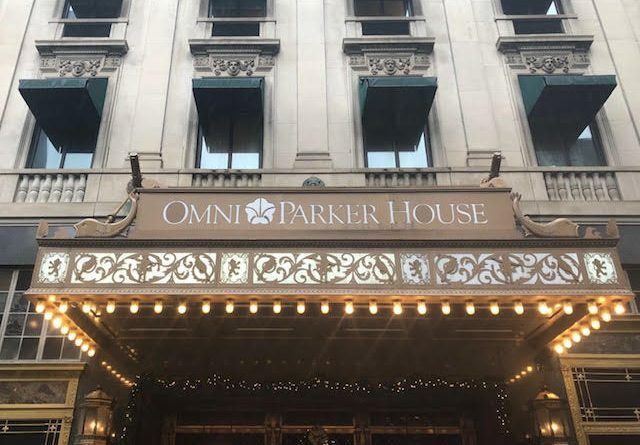 The Parker House has also been home to notable celebrities such as Hugh Hefner, Mark Twain, Judy Garland, James Dean, Muhammad Ali, Babe Ruth, and The Grateful Dead. Some celebrities don’t just stay at the Parker House. They’ve also worked there too. Before he was known worldwide as Emeril. A young Emeril Lagasse got his start at the hotel as a sous chef. However, Emeril isn’t the most famous chef that ever worked at the Parker House. That distinction would have to go to Ho Chi Minh, who would go on to become the president of North Vietnam from 1954 to 1969. A teenager named Malcolm Little also worked at the hotel. He would later become a household name all around the world as Malcolm X. The Parker House also is known for The Saturday Club. Literary giants such as Ralph Waldo Emerson, Nathaniel Hawthorne, Henry Wadsworth Longfellow, and other notable novelists, authors, and poets met in the hotel once a month in the late 1800s. Charles Dickens lived in the hotel in the mid-19th century. He came to Boston to recite ‘A Christmas Carol’ for The Saturday Club as well as other clubs and groups in Boston. In 1865, John Wilkes stayed at The Parker House when he was in Boston visiting his brother, a local actor. While staying in the hotel, Wilkes went to the basement and practiced shooting his gun. Eight days later he went to Washington DC and shot President Abraham Lincoln. The Parker House is notorious for the delicious food served in the hotel. In 1865, Head chef Augustine Francois Anezin came up with the Boston Cream Pie. The dessert would go on to become Massachusetts’ official dessert and a favorite to people with a sweet tooth all over the globe. During the 1870s, Parker House rolls were first served in the hotel. Like the Boston Cream Pie, the rolls also became a hit and had been served all over the world. According to guests and former staff, The Parker House is extremely haunted. In fact, the Stephen King book ‘1408’ which would later become a movie is based on room 303 in the hotel. Supposedly in the early 20th century a businessman who was down on his luck came to Boston with a few dollars in his pocket. He had enough money for a room and some booze. The man went upstairs and began drinking and popping pills. He went to sleep and never woke up. Ever since then guests that stay in room 303 have experienced a ton of paranormal activity. Some people tell stories of being sound asleep until the bed started violently shaking in the middle of the night. Guests have punched, kicked and slapped by whatever is haunting room 303. The tenth floor of the hotel is thought to be haunted by the ghost of Harvey D Parker, the founder of the hotel. Guests have woken up to find the apparition of a short, stocky man standing over them. Strange lights and orbs have been seen in the halls on the floor, and some guests even talk of seeing shadows move around in different rooms. Strange noises are also a common occurrence in the middle of the night on the tenth floor. Due to all the weird things that happen in 303 and the 10th-floor hotel employees will typically accommodate guests who ask to change rooms as long as there is some availability. 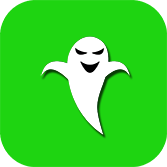 To learn more check out the Boston Ghost Map available now in iTunes for only $1.99. Explore over 40 haunted locations in Boston at your own pace!